Foreign workers are at higher risk of losing their lives than Norwegian workers. This is stated in a new report on the construction industry, prepared by the Norwegian Labor Inspection Authority and the National Agency for Occupational Health. "The main explanation seems to be that a larger proportion of foreign workers have more dangerous jobs than the Norwegian, shorter working hours and less stable employment," says Trude Vollheim, Director of Labor Inspection. The report shows that many foreigners who are injured have risky jobs like demolition and renovation. The Labor Inspectorate does not know how many people work within such projects, but based on the numbers of injured persons, we can assume that foreign workers often have such jobs. Foreign workers work more on the construction site, while more Norwegian are managers or work in offices. The data base for the report is all accidents involving construction work injuries notified to the Labor Inspectorate in the period 2012-2016, as well as an analysis of 176 accidents that the Labor Inspectorate followed up in 2015 and figures for employment from Statistics Norway. Vollheim points out that the statistical material is limited, but the report nevertheless gives indications that foreign workers are at higher risk of losing their lives at work. A special feature in addition to dangerous jobs is that the foreigners who are injured or lose their lives in occupational accidents have had a short time with the employer. Of the foreigners as perpetrators, all had been employed for less than four years at the employer, and 60 per cent had been employed for less than one year. Corresponding figures for the Norwegian as a perpetrator are that 25 per cent of them had been employed for less than four years. Of the foreigners who were injured, over 80 percent of these had been employed by the employer for less than four years. Corresponding figures for the Norwegian are just under 60 per cent. We have information about the employer's time for about 1/3 of the accidents. The percentages apply to these accidents as we have such information. Several international studies point out that being new in the job is a factor that increases the risk of injury. There are relatively big differences in the connection form Norwegian and foreign injured have to the construction project they are working on. The foreign workers injured at work are much more hired. They are also to a greater extent employed by subcontractors or subcontractors, ie further down in the hierarchy of actors in the construction site. "There is a danger that hired workers accept unreasonable working conditions, take greater chances and have higher thresholds to say if they think something is not safe because they fear that they will not get more assignments," says Vollheim. The report shows that many foreigners who are injured or killed do not master the language at the workplace. Of the foreigners who were killed in occupational accidents, half of them had language in the workplace. At least 21 percent did not control the language. For 29 per cent of foreign nationals killed, we do not have information about the language or not. 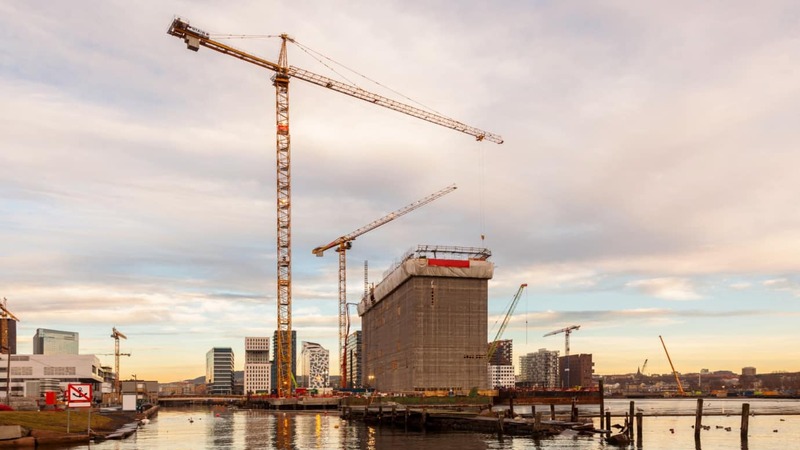 Whether lack of language control was one of the causes of the accident is limited information, but the Norwegian Labor Inspection Authority has experience that language problems can affect the risk of accidents and accidents at a construction site. This may, for example, misunderstand what order to do or do not perceive other conditions that can create risky situations. Many of the foreigners who lose their lives at work in Norway are young. 57 per cent of the perpetrators of foreign citizenship are under 30 years old. The corresponding figure for the Norwegian is 29 per cent. The main reason is probably differences in age distribution between employed workers born and raised in Norway and foreign workers. One in three of those killed in occupational accidents in construction companies had foreign citizenship in the period 2012-2016. The analyzes that the Labor Inspectorate and the National Agency for Occupational Safety and Health have indicated indicate that the risk of losing work at work is 1.5 times higher for foreign workers than for Norwegian. "This report strengthens our assumption of something that has not been sufficiently documented so far, that foreign workers are at increased risk of being killed in occupational accidents in the construction industry. Although the number material is limited, the estimate of 50 per cent increases the risk for foreign workers that the industry has an important job to do with further targeted measures against this group. It will save lives, says Director Pål Molander in STAMI. "Now it is important that all players in the construction industry use the knowledge this report provides. Employers and those hiring foreign workers need to become much more aware of the dangers of foreign workers in the workplace, and they must be better at preventing and reducing risk. There is a need to work continuously with certainty in all phases of a construction project and at all levels, "says Vollheim. As far as 2017, the Labor Inspection Authority has carried out more than 4400 building and construction inspections, which represents just under 40 per cent of the total activity. "The industry is at risk, with many accidents and fatal accidents, and is therefore one of the Labor Inspectorate's main priorities also in the coming years. We continue with full weight, both with supervision, guidance and cooperation with the parties, says Trude Vollheim. The report is written as part of the charter cooperation for a non-life construction industry. In addition to comparing foreign and Norwegian workers, the report describes health and occupational exposure to occupational health and safety and comparisons with other industries. It presents developments in fatal accidents and injuries in construction and construction. It provides an analysis of frequent types of accidents, failures, and possible measures to prevent accident types.